We are giving away tickets to two special screenings of Spike Lee's soon-to-be-released film BlacKkKlansman – one taking place at Cineworld Luton and the other at Odeon Streatham (London) on the evening of Monday 20th August. Starting at 6.30pm, the special screenings will be followed by a live-by-satellite Q&A with acclaimed director Spike Lee (Do The Right Thing, Malcolm X). 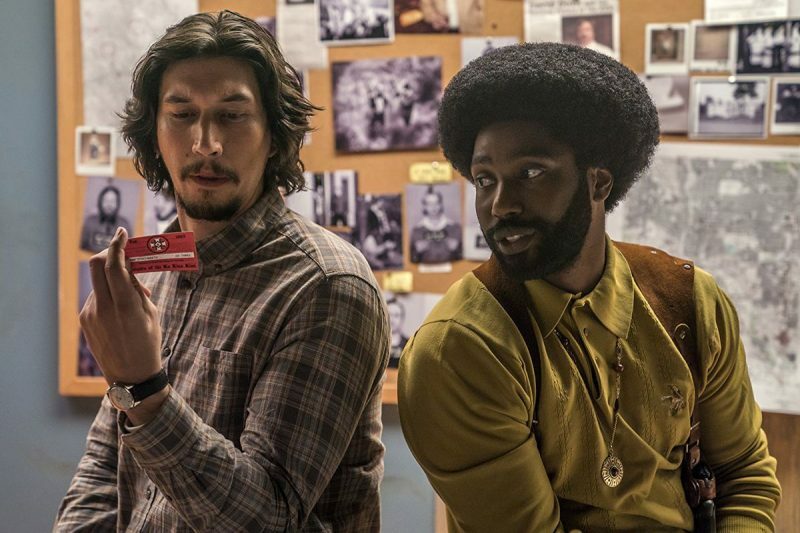 BlacKkKlansman depicts the incredible true story of an American hero. It’s the early 1970s, a time of great social upheaval as the struggle for civil rights rages on. Ron Stallworth (John David Washington) becomes the first African-American detective on the Colorado Springs Police Department, but his arrival is greeted with skepticism and open hostility by the department’s rank and file. Undaunted, Stallworth resolves to make a name for himself and a difference in his community. He bravely sets out on a dangerous mission: infiltrate and expose the Ku Klux Klan. Check out the trailer; the film is officially released in the U.K. on Friday 24th August. To be in with the chance of winning a pair of tickets to one of the screenings, email info[at]scenetv.co.uk with the answer to the question below AND state which screening you would like to attend: 'London' or 'Luton'. Winners will be selected at random, see terms and conditions below. Deadline for entries is 10am Friday 17th August 2018. Question: When is BlacKkKlansman released in the UK? If you're not a winner, don't worry – you can still buy tickets for the screenings, which are taking place nationwide. Visit www.BlackkklansmanScreening.co.uk for more info. Open to people residing in the UK aged 16+.